Lexicon®, a Harman International Company (NYSE-HAR), today introduced its new I·ONIX U22, U42S, and U82S USB Desktop Recording Interfaces. The I·ONIX Series offers the highest quality hardware and software to provide the user with exceptional recordings. Each model provides all the necessary tools to transform a computer into a professional 24-bit digital recording studio including the USB 2.0 desktop recording interface, Steinberg® Cubase LE4® multi-track PC and Mac® recording software, Toontrack® EZdrummer® Lite virtual instrument software, and the new Lexicon Pantheon™ II VST/AU reverb plug-in. Brilliantly designed, the I·ONIX Desktop Recording Series sit in the perfect location when using a DAW, between your keyboard and monitor. Now all the monitor and input level controls are at your fingertips. The I·ONIX Series are meticulously crafted from the highest quality components to ensure superior recordings that live up to Lexicon’s standards of performance. 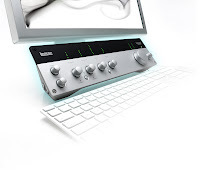 Each desktop recording interface features newly designed dbx® microphone preamps on all analog inputs. The preamps are driven by a high-voltage supply to guarantee stability and provide superior recordings across a wide dynamic range. Performance driven A/D-D/A converters ensure pristine 24-bit/96kHz audio quality. The Lexicon name is synonymous with the world’s best reverb. The Pantheon II VST/AU plug-in offers six reverb types with 16 adjustable parameters, and 35 factory presets that range from Vocal to Live Sound and Special Effects. The exquisitely rich, full reverbs make it easy to add dimension and depth to any track. Each of the three models allows for a different level of recording capability. The U22 can record two channels simultaneously and includes two analog combi-jack mic/line inputs, two TRS balanced line outputs, a Hi-Z instrument input, a ¼” high-power headphone output, and MIDI I/O. The U42S records four analog and two digital channels simultaneously, and the U82S can record eight analog and two digital channels. In addition, the U42S and U82S include four and eight analog combi-jack mic/line inputs respectively, S/PDIF I/O, two instrument inputs, and two ¼” headphone outputs. Dedicated knobs and meters provide quick and easy access to input and output levels and locking combi-jacks make sure that a connection is not lost in the middle of a performance. Demonstrating the global reach and international rider-acceptability of JBL’s VERTEC® line arrays, Soundcheck, Inc. recently deployed a multi-array system equipped with JBL DrivePack® technology to support a massive R&B show featuring Rihanna and Chris Brown. Promoted by Globe and sponsored by MTV Philippines, the outdoor concert was staged at Manila’s Bonifactio Global City Open Field on November 16 for nearly 70,000 music fans. Having sold more than 11 million albums around the globe, Rihanna already has three No.1 Billboard hits and has amassed 12 top 40 hit singles in the U.S. The Barbadian singer, model and fashion designer was honored as Favorite Female Soul/R&B Artist and Favorite Female Pop/Rock artist at the 2008 American Music Awards. Sharing the stage with Rihanna was R&B singer-songwriter and music video director Chris Brown, who also recently achieved the No.1 spot on Billboard’s Hot 100 chart. A temporary stage with overhead roof and structural scaffolding support was erected onsite to support an extensive lighting system and video projection setup. Concert sound reinforcement services were provided by Soundcheck, the primary rental system contractor for the event, with additional VERTEC inventory having been sub-hired from regional system owner FriendlyFire Sound. A total of 48 VT4888DP-CN midsize powered line array elements and 16 VT4888 enclosures were in use, along with a total of 28 VT4880 and VT4880A full size arrayable subwoofers. Main left and right line-array hangs included 18 enclosures per side, with out-fill arrays each made up of 10 enclosures. Three signal-delayed array zones were also employed to provide rear-area coverage for the massive outdoor field, and JBL VRX932 compact constant curvature line array systems were in use as front-fill support speaker locations. For stage monitoring, 4-box arrays of VT4888DP-CN’s were used as side-fill arrays with supporting 2x18-inch subwoofer stacks, while three VRX932LA’s were positioned on the downstage front truss for Chris Brown’s specified overhead center monitor array. The rental system inventory for the event also included Soundcheck’s new Soundcraft Vi6 digital mixing console. Soundcheck, Inc. can be reached in Muntinlupa, Philippines at +(63) 2 807-1298 or by email at jmgmatoco@gmail.com. Harman Professional today announced the appointment of Alexander Rojas to the newly-created position of Director Of Sales, Intercontinental South as part of its continuing initiative to better serve the emerging and established markets of Central America and South America. Rojas, an experienced sales leader and accomplished audio engineer, joins Harman with a clear mandate to develop sales opportunities, advance distributor relationships and contribute to support services for Harman Professional brands in his territory. He will report to Jaime Albors, Senior Director of Sales Intercontinental, Harman Professional and will operate from the company’s new Intercontinental sales office in San Juan, Puerto Rico. Alexander Rojas joins Harman Professional from Caribbean Broadcast Suppliers, a family owned business, where he held the position of Sales & Marketing Director since 1999 and was responsible for all sales operations and marketing activities. Rojas also developed the contracting division of the company, which served the theater, church and sports complex among others, working closely with architects and designers for this type of projects. 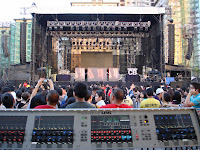 Prior to this, Rojas was Chief Audio Engineer and Crew Chief for Pete Diaz Productions, a Miami, Florida-based production company for special events and music festivals and before this, served successively as Sound Technician, FOH and Monitor Mixer and Crew Chief at Berty’s Sound in San Juan Puerto Rico. Alexander Rojas attended the University of Miami School of Engineering for Electrical Engineering with a specialization in audio engineering with credits also from the School of Business for Business Administration. He is also accredited by many industry and manufacturer ‘s training courses. Rojas and Albors are joined in Intercontinental Sales Office by John Powell who was recently appointed to the position of Director of Sales, Intercontinental South. Powell was formerly Regional Sales Manager for the Harman Music Group. the community of registered HiQnet System Architect users exceeds 20,000. As new members join the community of registered HiQnet users, Harman continues to add new devices to the HiQnet portfolio. Control of the three models of the new Crown I-Tech HD Series will be possible with the device plug-ins included with System Architect 1.9, which support the configuration of the FIR filters and LevelMAX™ limiters included in the new flagship touring amplifier, the algorithms for both of which were co-developed with BSS Audio. System Architect 1.9 also brings with it the fourth member of the Crown XTi Series – the XTi 6000, taking the total number of shipping HiQnet devices to 94 and the total number of System Architect-controlled devices to 67.
configuration who have the frustrating situation of a HiQnet device being connected to the PC but not showing up in System Architect due to a network configuration error. The Network Troubleshooting tool will see the device, and work with the user to resolve the issue in a few simple steps. 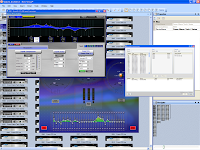 Working closely with the user-base of tour sound and contractingprofessionals, SDIG engineers have carefully enhanced the Custom Control Panel design experience. This includes a more automated mechanism of creating controls on a panel and assigning them to system-wide parameters. By dragging any device parameter from the System Explorer tree or Advanced Parameter Search utility and dragging onto a Custom Control Panel in the design environment, the user will be prompted with a concise list of only the appropriate controls to which it can be assigned. In user tests this mechanism has proved a significant impact on the time taken to create Custom Control Panels. The same mechanism has been implemented for enhancing Custom Control Panel navigation panel: shortcut controls can instantly be placed on a Custom Control Panel simply by dragging the appropriate panel icon from the panel toolbox. panel, but also the visual design element. Professors at the University of Idaho have chosen Hitachi interactive whiteboards in a move that greatly enhances the school’s science class and laboratory teaching technology. Purchased through Troxell Communications, the school utilizes the FXDUO-77 model StarBoard along with the award winning Hitachi CP-A100 3LCD projector as part of the Hitachi CP-A100+FXDUO bundle. 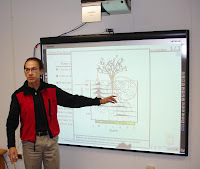 Robberecht noted that other professors use the Starboards for courses on geographical information systems (GIS) where various information such as soil types, species, forests and grasslands, and related geographical information can be shown in interacting layers of a landscape. The university has also utilized StarBoards for numerous other applications. “We have one StarBoard that is being connected with a field campus where they are teaching ecology to fifth and sixth graders,” stated Robberecht. Based on experiences thus far the university will certainly be considering Hitachi for future technology needs. “As our smaller classrooms and seminar rooms are renovated the new Hitachi Starboards will be integral to the renovations because the price is right, the technology is great, and the service and support we have received has been excellent,” said Robberecht. Harman Professional today announced the promotion of Bill Raimondi from Market Development Manager, Crown Audio to group-wide Director, Sales U.S. Distribution / Strategic accounts. In this new position Raimondi will manage and direct sales of the U.S. distribution channel and strategic account activity for Harman Professional. 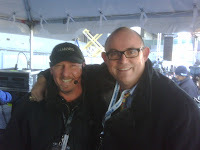 Today’s announcement was made by Scott Robbins, Harman Professional Vice President of Sales, to whom Raimondi reports. 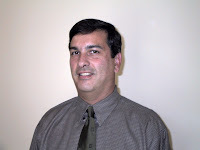 Raimondi joined the Crown marketing group in 2006 to develop the commercial audio business segment. During his time at Crown he contributed to the significant growth that Crown’s commercial product line has enjoyed particularly with U.S. distributors. Before joining Crown, Raimondi had a proven track record with 20+ years of sales and marketing experience from both the retail and manufacturing perspectives. His experience includes managing direct and independent sales representatives, the development of strategic business plans and sales programs as well as purchasing. Demonstrating how global adoption of the company’s new V4 DSP presets is helping achieve enhanced performance results for its VERTEC® worldwide loudspeaker system user group, JBL Professional reports an enthusiastic response to its recently-completed digital signal processing file suite for the company’s popular full-size, mid-size and compact line array elements. With a growing number of VERTEC system owners now having upgraded their system drive files to V4, touring sound mixers are realizing a significantly improved level of system performance and consistency, regardless of where in the world a VERTEC system is sourced and deployed. 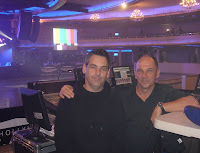 “I’ve previously used VERTEC on tour with David Bowie and Nine Inch Nails, but the new V4 DSP presets have definitely taken this PA to the next level,” observed FOH engineer Pete Keppler, after using a JBL VT4889/VT4880A system from Firehouse Productions for Nine Inch Nails’ summer North American tour. The new presets are having a particularly strong impact internationally, as globetrotting sound mixers now find the system performance consistency they have been seeking on concert rental systems from one continent to the next. In Canada, Mark Radu, Systems Engineer/R&D for P.A. Plus, observes that with V4, the company’s VERTEC system now sounds better all the way from the front row to the back row in any venue. “It’s absolutely providing better phase-coherency for the system,” commented Radu. “Offering remarkable sonic improvements while delivering a uniform consistency throughout the VERTEC line, JBL continues to raise the bar in speaker performance." In a related development, V4 presets are now shipping from the factory in all of JBL’s DP (DrivePack) series of VERTEC system models, enabling system owners of passive, or powered, VERTEC systems to realize the same, consistent level of performance with improved fidelity, phase-coherency and comparable sonic signatures across the entire product line. A new DPIP Upgrade Kit for JBL DrivePack-equipped systems fitted with dbx (non-networked) input modules has also just been released for VERTEC owners wishing to realize the benefits of V4 processing for their existing, base-model VERTEC DP Series system inventories. The Upgrade Kit consists of a USB port adapter cable, download utility software and V4 firmware for the various models that allows users to re-program existing VT4888DP, VT4882DP, VT4887ADP or VT4881ADP models with V4 presets. Continuing its historic tradition of bringing together stars with world-wide recognition to witness music at its finest, the International Sopot Festival is Poland’s largest event of the year and celebrated its 45th anniversary with a memorable two day festival. One of Warsaw’s most recognized PA rental companies, GMB ProSound, supplied and operated the sound system centralized by Soundcraft Vi6™ and Vi4™ mixers. GMB ProSound flawlessly accomplished consolidating audio suitable for an event of this caliber. The main front of house mixers deployed two Soundcraft Vi6s and the monitors were run through two Soundcraft Vi4 mixers. The sound engineers powering the event were more than pleased with the appearance and ease of use given by Soundcraft’s digital mixers. “One of our monitor engineers sat at the desk for the very first time and went through a timed rehearsal on day one without ever reading the manual beforehand,” said Remek Kasztelnik, sound engineer from GMB ProSound. “The ease of use and the touch-screen Vistonics interface allowed the engineers to handle any obstacle that the two day festival offered and didn’t interrupt the engineers’ ability to mix an amazing show,” continued Kasztelnik. Wladyslaw Szpilman, from Polish Radio, created the Sopot Festival in 1961 and the two-day event brings international contestants and guests together to celebrate great songs and lyrics. Throughout day one, several contests were scheduled requiring the talents of elite well-known artists. The “Amber Nightingale Prize,” a desired award, was presented to the Swedish group O’Laura who performed their lyric summer hit “Release Me.” Day two was solely devoted to the stars of the 80’s with memorable performances by Limahl with Kajagoogoo, Shakin Stevens, Samantha Fox, Kim Wilde, and Thomas Anders with Modern Talking. Showcasing the versatility of Soundcraft’s Vi6™ digital mixing console, integrators ESP New York and Wizard Studios recently deployed a Vi6 for the Veteran’s Day Celebration on the USS Intrepid. As one of ESP New York’s most challenging productions, the Vi6 was chosen for its wide range of capabilities and the flexibility required for this unique event. The Vistonics provided ESP New York engineers with a very intuitive interface that is conducive for live sound events. Stephen Swope, Systems Technician and Keith Williams, A2, had the ability to choose from eight input channels for the event, with 16 rotary encoders and 16 switches per touch screen. All channel functions, including routing, input gain, digital gain trim, delay, high and low-pass filters are easily and quickly accessible for any circumstance. “The ability to control the board without a user guide and at the touch of a finger provides us with the flexibility needed to excel at an event of this magnitude,” Davis concludes. President Bush addressed the Nation and was awarded the Intrepid Freedom Award at the celebration that honored the Veterans of America and the grand reopening of the USS Intrepid museum in New York City. World-renowned tenor, Ronan Tynan, performed “God Bless America” to the 5,000 guests and 2,500 veterans that gathered to celebrate the Veterans Day event, including New York Governor David Paterson and First Lady Laura Bush. STAMFORD, CT. - Harman International Industries (NYSE: HAR), a leading provider of branded audio and infotainment electronics for the home, the car, and sound professionals, said today that its professional audio products will play a key role in the new GRAMMY MuseumSM which opened in Los Angeles this week. The new museum is a collaboration between The Recording Academy®, the membership organization responsible for the GRAMMY® Awards, and Anshutz Entertainment Group, and was founded to celebrate the enduring legacies of music and its premier recognition through the legendary GRAMMY Award. The museum, located in the downtown Los Angeles sports, entertainment and residential district L.A. LIVE, features some 30,000 square feet of interactive exhibits and dynamic multimedia presentations. To showcase this breadth of musical achievement, The GRAMMY Museum elected to feature professional audio technologies from several Harman International unitsincluding loudspeakers from JBL, microphones from AKG, processing technologies from BSS Audio, amplifiers by Crown Audio and mixing systems from Soundcraft. SALT LAKE CITY, Utah — Roselle Park, NJ based sound company Audio Inc. utilized BSS Audio Soundweb London to help run live sound reinforcement at the Bermuda Music Festival, a unique multi-day live concert event held in October, featuring artists such as Beyonce, Alicia Keys, and UB40. Soundweb London features a low-latency and a fault-tolerant digital audio bus of 256 channels. In addition to providing a backbone for the transportation of multiple channels, this bus also facilitates the creation of large, fault-tolerant, centralized matrices containing multiple devices. The digital audio bus uses standard, inexpensive Cat 5e or Cat 6 cable, which enables a distance of 100 meters between devices; fiber media converters and fiber can be utilized to increase this distance in excess of 40km. Sinclair also expressed how highly regarded the BSS Audio name is within the professional sound industry. “Just the BSS Audio name alone was enough to instill confidence in the sound engineers at the music festival. Because it was a BSS Audio product, it was immediately accepted by all engineers that were there,” stated Sinclair. NORTHRIDGE, California- The Palace Grounds in Bangalore, India were transformed on November 7, 2008 into a celebration for thousands who turned out for “The Great Indian Rock 2008.” Bangalore transcended into the Rock Capital of India with an international concert that featured 3 prominent Indian bands, Slingshot, Rainbow Bridge and Extinct Reflections and 2 Norwegian popular acts, Sahg and Satryicon. V&P Sound deployed an extensive Harman sound system that featured Soundcraft’s Vi6 and included products from JBL, Crown, dbx, and AKG. The sound system consisted of 20 JBL VERTEC VT4889’s with 2 main hangs of 10 per-side, 16 JBL VERTEC VT4880A subs were flown in on 4 per-side hangs, 8 JBL CSR subs were ground stacked with 4 per-side and JBL VRX932LA’s were used as center-fills. Crown I-Tech 4000, 6000, and 8000 amplifiers powered the entire system and the FOH was mixed using the Soundcraft Vi6 digital mixing console running the new Version 3.0 software. The stage monitoring system was equipped with 10 VRX915M, 2 VRX915M, 2 PRX518S/230 along with 2 PRX 512M/230’s were used as the drum fills. The side fills were 4 VRX932LA and 4 VRX918S. The monitors & side fills were bi-amped using Crown ITechs and managed by another dbx DriveRack 4800. The 2 drum kits were mic’d using AKG Drum SET II, each set included one D 112 and four C 518M. Additional products from AKG included the C414, C451, D5 and D40 microphones, WMS4000 wireless system and the IVM4 in ear monitoring system. Concluding the Harman installation was dbx 4800 Loudspeaker System Management processors that were used to manage the main hangs, subs & front-fills. NORTHRIDGE, California – Physician’s Quality Care in Jackson, Tennessee, a completely new kind of walk-in medical clinic is provided to patients giving them a one-of-a-kind non-medical experience. With audio components from JBL and Crown audio systems integration firm Internally Sound has designed a system that establishes a more hospitable environment for patrons. The facility features a waiting room structured with a 26-seat movie theater. JBL’s Screen Array 4622 cinema loudspeakers, Cinema Series 4641 subwoofers, and 8340A Surround high power cinema surround systems, in addition to Crown’s DSI 2000 amplifiers for 4622’s and 4641’s, and Crown’s DSI 1000 amplifiers for surround systems play starring roles in this room. “The doctors wanted people to come to their office and have an enjoyable experience versus a dreaded one,” said Phil Jenkins, president of Internally Sound. At Physician’s Quality Care, the experience doesn’t end in the waiting room. Internally Sound integrated a JBL Control 26C ceiling speaker system throughout the lobby, halls, vending areas, and restrooms. Crown CTs 8200BCA amplifiers power all the speakers. Relevant towards good health, Physician’s Quality Care also built a full-scale membership gym next to its facility. “Boomer’s,” as the gym has been named, features a TV screen on every treadmill that not only receives cable programming but also is equipped with an iPod dock allowing guests to listen to music or watch videos as they run. Plasma televisions are in each corner of the gym, and six JBL Control 30 loudspeakers, running content from XM Satellite radio, are discreetly controlled to provide excellent sound.